San Diego, Calif., Apr. 19, 2018 -- For Angela Valdez, being diagnosed with diabetes was an awakening. The disorder ran in her family, but she didn’t think it would happen to her. And when it did, she acted by modifying her diet and physical activity. She was doing everything right—almost. The device is flexible and easy to wear. 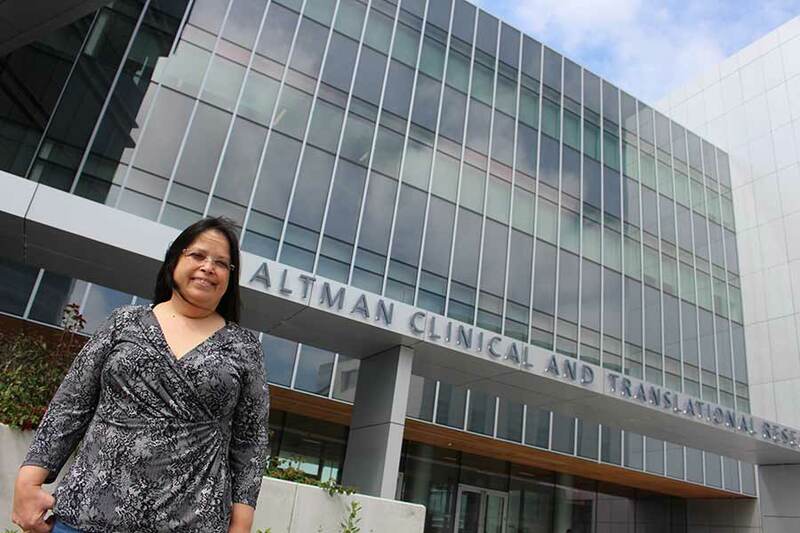 Valdez has enrolled in a phase I clinical trial headed by Chao, in collaboration with Wang and Mercier. The SENSOR Study (Studying the Effectiveness of Non-Invasive Glucose Sensors in Patients with Diabetes) takes places at UC San Diego Altman Clinical and Translational Research Institute, where the team tests the tattoo sensor’s accuracy at detecting glucose levels compared to a traditional glucometer. Angela Valdez was one of the first people to enroll in the SENSOR Study in hopes to one day find an alternative to finger pricking to monitor her diabetes. The device consists of carefully patterned electrodes printed on temporary tattoo paper. 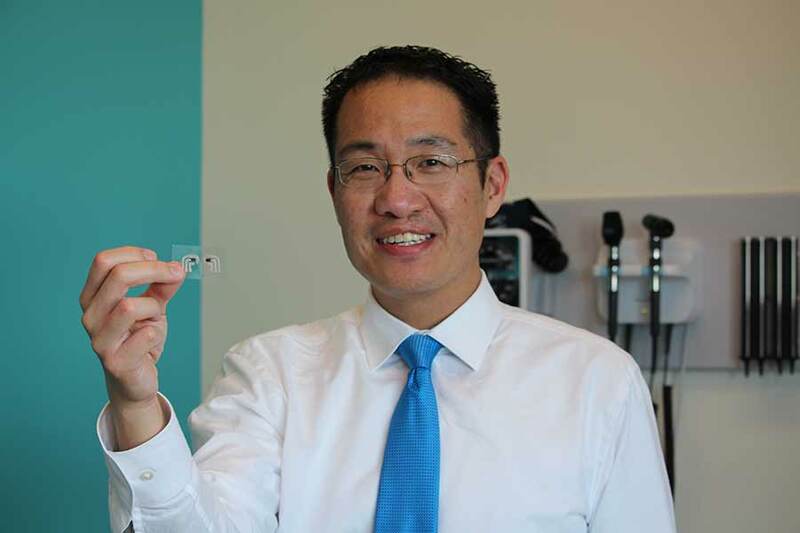 For more information about the SENSOR clinical trial, call Jeff Mills, clinical research coordinator at 619-786-2854 or jhmills@ucsd.edu or visit clinicaltrials.ucsd.edu.